San Francisco and New York - September 24, 2018 - Masabi, the company bringing Software-as-a-Service ticketing and payments to public transit, and Swiftly, the leading big data and mobility services platform for public transit, today announced that they have formed a partnership for North America. Under terms of the agreement the companies will work together to help agencies improve the rider experience by offering a combined best-of-breed vehicle tracking, real-time data and ticketing solution. Masabi and Swiftly are already delivering services for joint agencies, including for Sonoma-Marin Area Rail Transit (SMART). In these agencies Masabi’s Justride Platform is delivering mobile ticketing to riders and Swiftly’s Transitime solution is enabling accurate real time passenger information for journey planning applications. Swiftly’s solution enables an open ecosystem through APIs, allowing riders to access real-time information using whichever journey planning service they choose. This includes being made available to agencies within Masabi’s ticketing applications, helping them move around the city quickly and conveniently. Similarly, Masabi’s Justride Platform enables tickets to be purchased via an agency branded app, SDK integration into 3rd party urban mobility apps, ticketing APIs and web sales portals. This open ecosystem enables riders to access tickets and real time information through multiple interfaces increasing the accessibility, discoverability and convenience of public transit services. “At Masabi our goal has always been to make taking public transport as quick and easy as possible. By working together Masabi and Swiftly can offer our market leading services to agencies to help them revolutionize the transit experience and attract more riders to their services,” said Brian Zanghi CEO of Masabi. “Swiftly has always been focused on enabling transit agencies to thrive in today’s rapidly changing mobility environment. 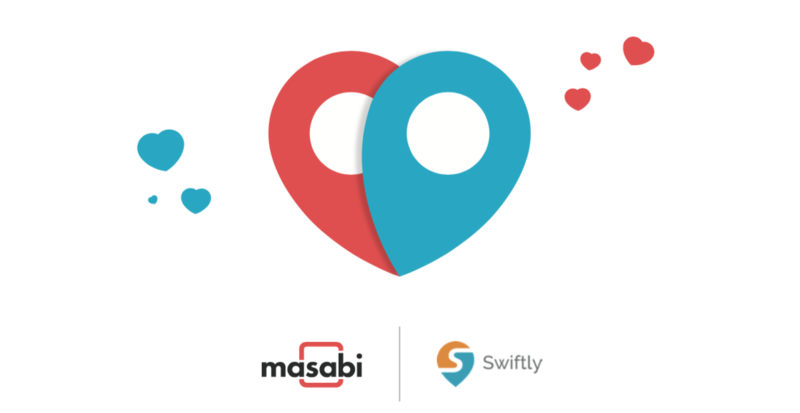 We’re thrilled to announce a partnership with Masabi and agencies around the world to improve the rider experience through accurate passenger information alongside seamless mobile ticketing,” said Jonny Simkin CEO of Swiftly. Swiftly develops enterprise software to help transit agencies and cities improve urban mobility. Built by transportation experts for transportation professionals, the Swiftly platform harnesses billions of data points and sophisticated algorithms to improve transit system performance, service reliability, and real-time passenger information. Over 50 cities from coast to coast use Swiftly’s technology platform, improving transportation services for millions of riders each day. Swiftly is backed by leading mobility investors, including Ford Smart Mobility, Samsung NEXT, Via ID, and RATP Dev. The company’s Justride SDK is the world’s first and only mobile ticketing SDK for public transport, allowing partners such as Uber, Kisio, Chalo, Gertek and Transit to request fare types, make payments, and deliver visual and barcode mobile tickets to a passenger within their applications. It has offices in London, New York, Boston and Cluj and investors include Mastercard and Keolis.